Stand tall, with your feet shoulder width apart and your right arm hanging relaxed against your body. Using your left hand, extend your driver parallel with the ground. Imagine that the entire left side of your body forms the hinge side of a door frame, and your arm and club represent the door. In this metaphor, the door is currently closed and in line with the jamb. 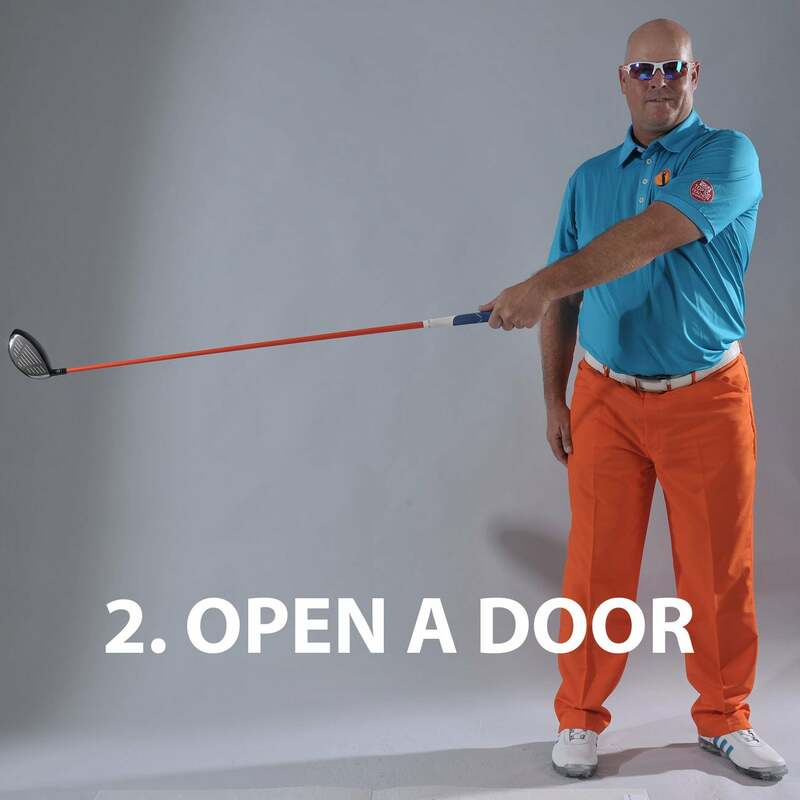 Swing the door open by sweeping your left arm and club across your chest. Keep both straight and parallel to the ground. You’ll need to rotate your body slightly as well, but your door frame (left side) remains largely stable. 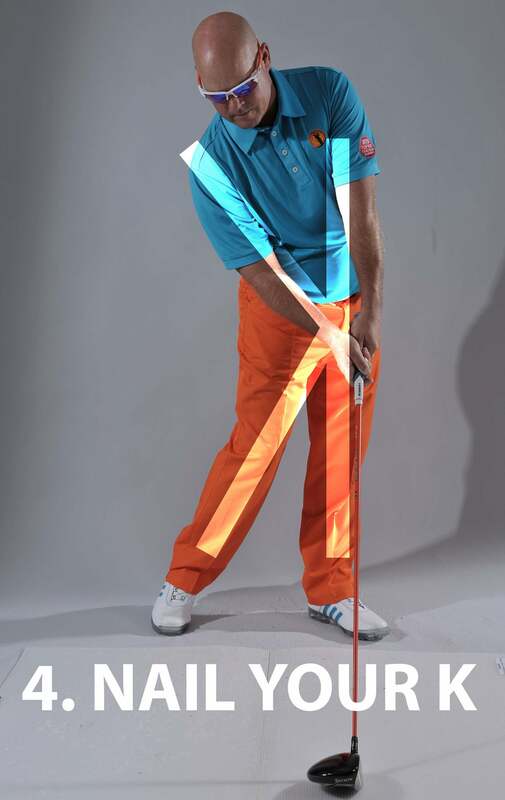 This move represents your backswing, minus your wrist hinge. 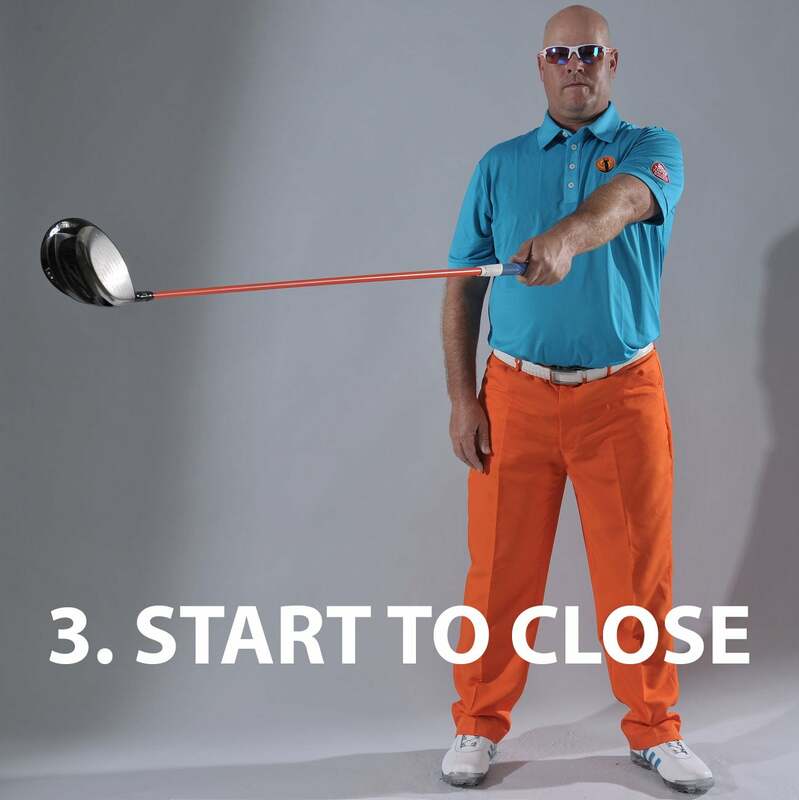 Stop when the clubhead points directly away from target. Slowly rotate back toward impact (closing the door). Keep your arm and the club straight while shifting into your left foot as your left hip presses slightly into the door jamb. It will feel like the door points well right of your target at this three-quarter closed position, but just as in an actual swing, it will continue to corner left so it can close flush against the frame. 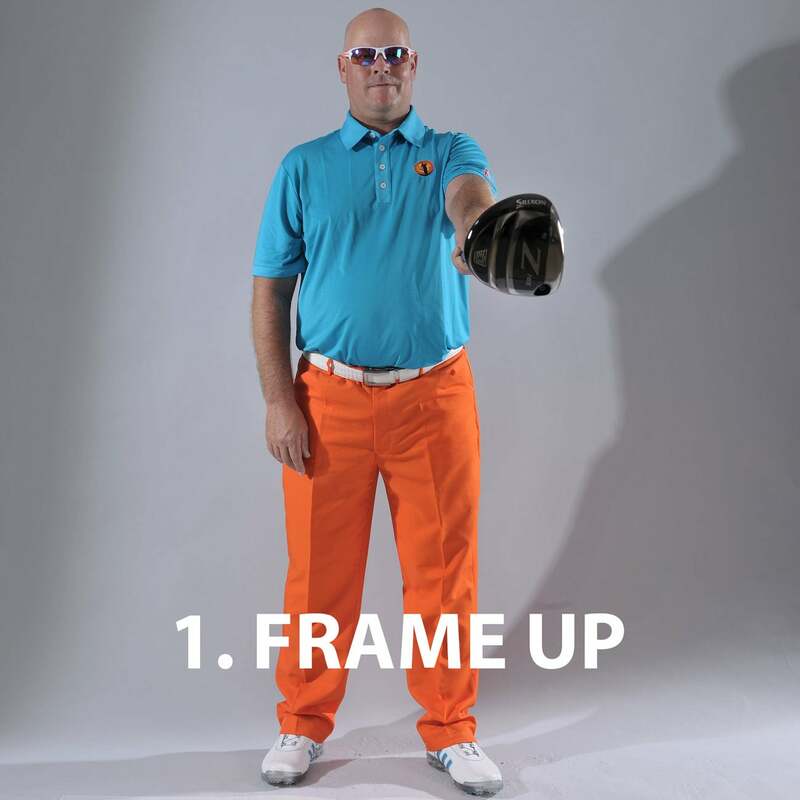 Once you close the door, place your right hand on the grip and lower the club to the ground, keeping your left side, shaft and clubface firm against the frame. Pinch your right knee in and place a little more pressure under your left foot. Congrats! You’ve constructed the perfect Reverse-K impact position. Repeat this on the course and the ball won’t know what hit it!